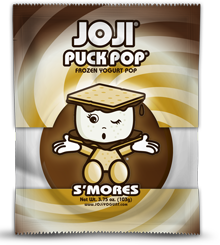 The flavors of JOJI® Yogurt embody a balance between tradition and innovation. 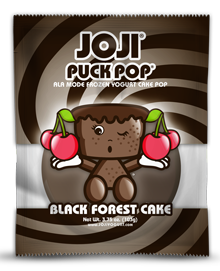 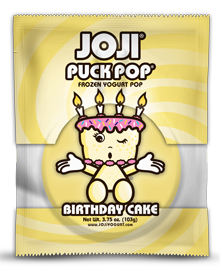 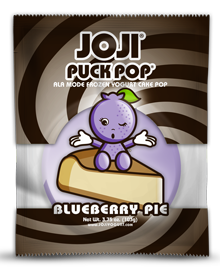 JOJI® Yogurt produces individual plated desserts and retail packaged Puck Pops® in order to satisfy your customers. 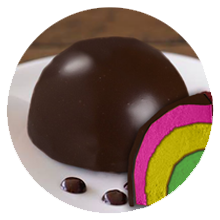 We serve hotels, restaurants, catering companies, gourmet markets and bakeries. 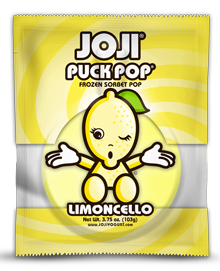 We are dedicated to provide our customers with the highest quality service and product. 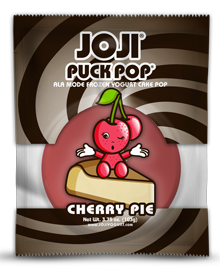 Our products are custom made from scratch. 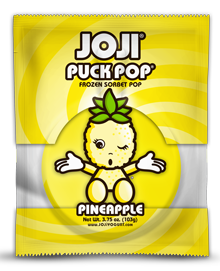 We source the best ingredients available around the world, sparing no effort to find them. 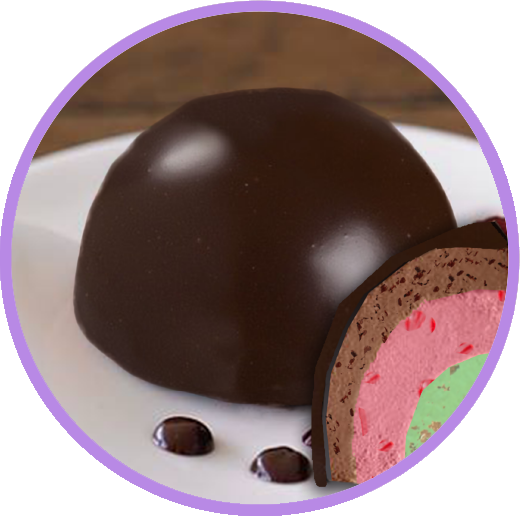 Our desserts may be kept at -20℉ for 6 months, -10℉ for 3 months or 0℉ for 1 month. 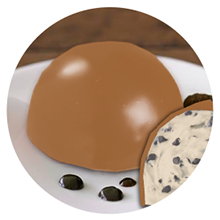 Unused proportions of desserts may not be refrozen. 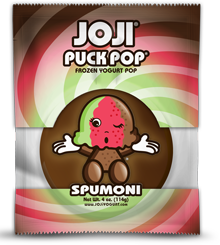 JOJI® Yogurt, LLC. 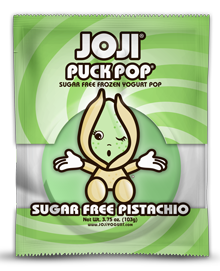 will not be liable for any irregularity of the tastes if the storage has been altered. 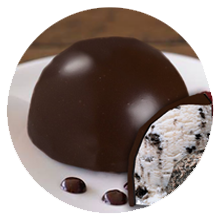 Remove dessert from freezer five minutes before serving. Best served quickly. 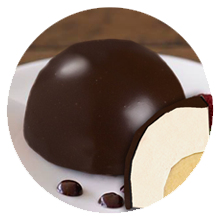 Dress plate with sauce and cream for an upscale dessert. 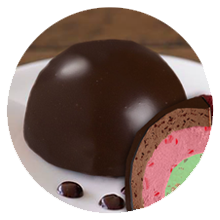 All Bombes are packed 24 pieces per box. 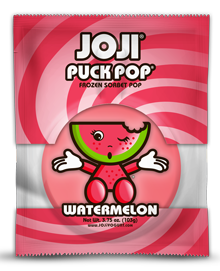 All Puck Pops® are packed 12 pieces to a box. All products are packaged in corrugated boxes. 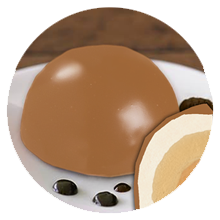 Our products May include: Dairy, Eggs, Wheat, Soy, Peanuts & Tree Nuts. Therefore, they are not suitable for those with intolerances or allergies to these particular food types. 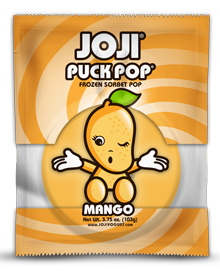 We will not be liable for any direct or indirect effects of our products to the consumers. 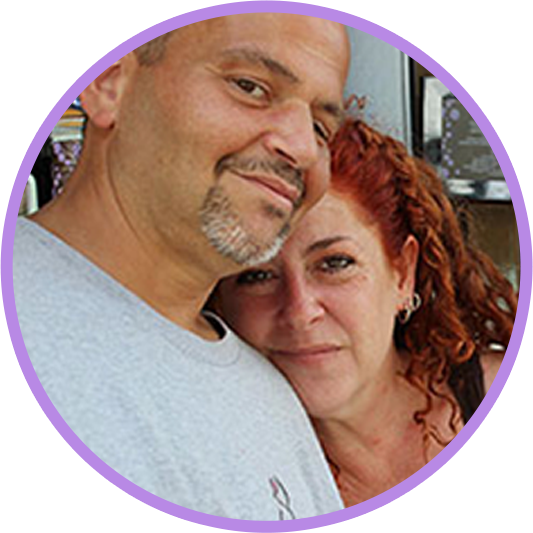 We are a "Think Tank" of proven experience that comes with a strong 30 plus year track record of knowledge and expertise in direct brand, product and market development for many major well-known companies. 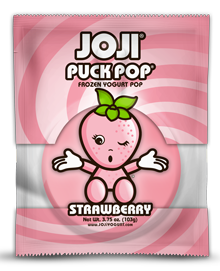 JOJI® was built with longevity in mind and is not to be compared with those passing competitors caught up in the current frozen yogurt craze. 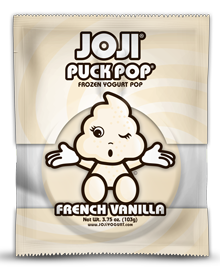 At JOJI® we are always researching, developing, and sourcing new products and ideas. 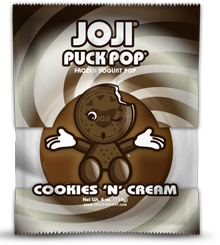 We continue to challenge ourselves to expand and build the JOJI® brand. 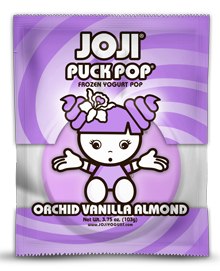 We are one of few that freshly mixes premium-frozen yogurt products around that fits within a healthy lifestyle. 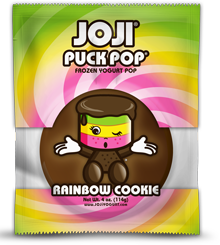 JOJI® gears its brand & products to the hip, the fun and the health conscious crowd. 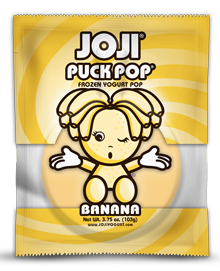 It attracts and captures the senses of all age demographics from an energetic preschool set to a savvy senior. 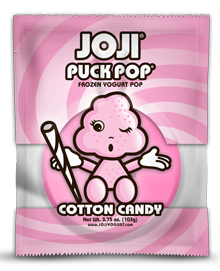 JOJI® incorporates fresh graphics, utilizes stimulating colors, and its lovable characters are memorable. 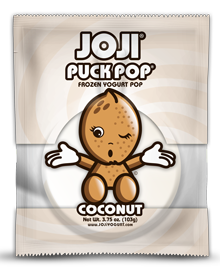 In addition to our Awesome tasting Frozen Yogurt and Low Fat Gelato Desserts, JOJI® offers "The JOJI®" fro -yo sandwich, Sipping COCOs and our very own line of All Natural Doggie Fro-Yo! 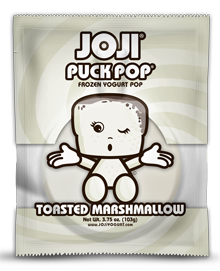 Beginning in 2011, we launched our JOJI® brand, by building a state of the art, soft serve frozen yogurt truck. 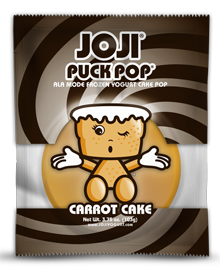 Still up and running, the truck is now a staple at large public and private catering events in South Florida. 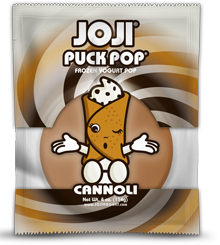 In 2013 JOJI® partnered with the NHL® Florida Panthers Hockey Club to open a stand alone JOJI® Kiosk, spreading our JOJI® love to Hockey fans far and wide. 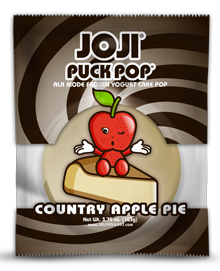 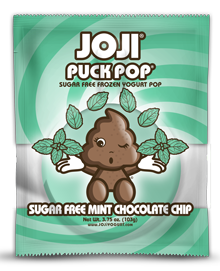 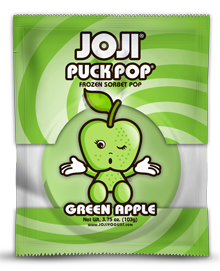 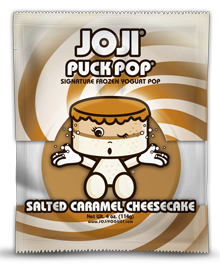 It was at this time that we renamed our pops to “JOJI® Puck Pops®”, since they are shaped like a hockey puck. 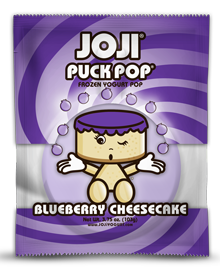 Recently, we opened our Flagship JOJI® Yogurt & Dessert Bar retail store in Margate, Florida, encompassing our very own micro-creamery, where we create and distribute our yumminess to restaurants, hotels, caterers and retailers.